HomeNewsHow does substance abuse impact the campus community? How does substance abuse impact the campus community? For many, college is a time of independence and transition into adulthood. With this comes the new responsibility of independent living. This transitional period also marks a time when many young adults may begin participating in substance use. 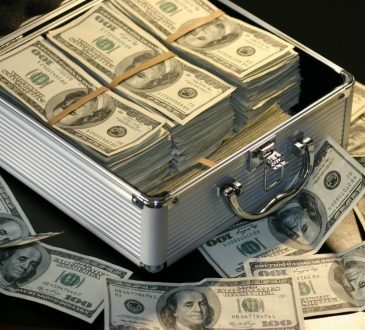 According to the Substance Abuse and Mental Health Services Administration, in 2014 more than a third of college students had been binge drinking in the past month, and one in five had partaken in an illicit substance in the past month. 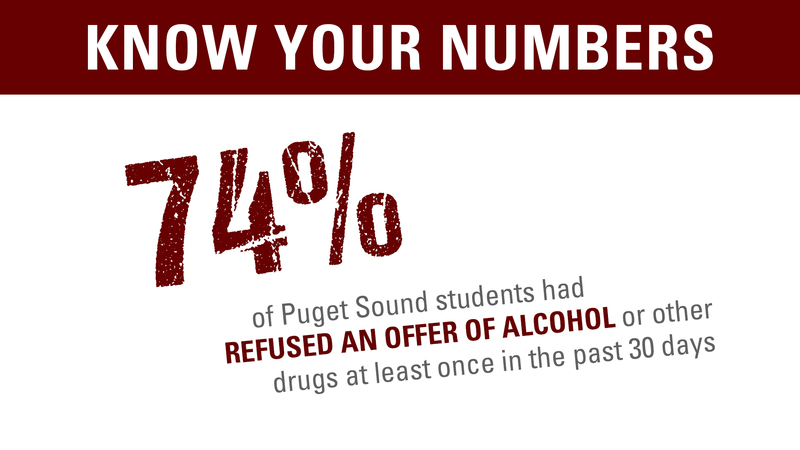 There have been some concerns around drug abuse at the University of Puget Sound. 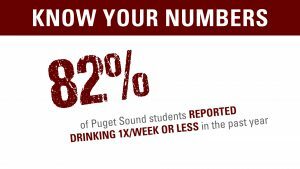 While the rate of alcohol use is consistent with other schools around the country, cannabis use is higher, according to Chris Edwards, a psychologist and the Substance Abuse Prevention Coordinator at Counseling, Health, & Wellness Services (CHWS) at the University of Puget Sound. 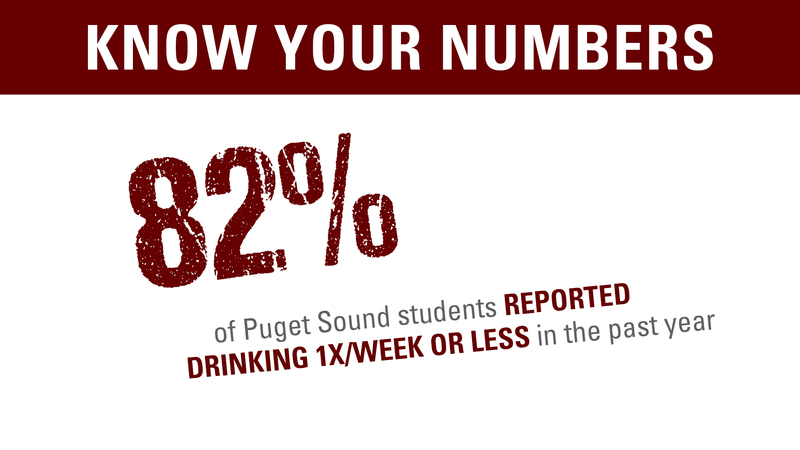 “With alcohol, Puget Sound doesn’t really stand out from the crowd, as far as kind of the national statistics. 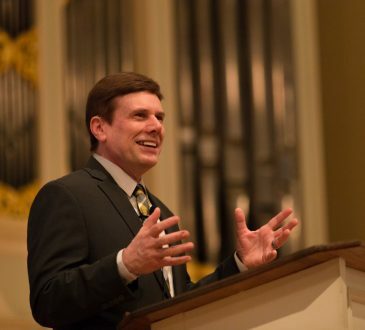 It’s pretty consistent, the rate at which students are reporting their use of alcohol here, so it’s important to acknowledge that not everybody on campus drinks, and that’s part of the social norms messaging that we do every year,” Edwards said. Binge drinking is defined by the National Institute of Health (NIH) as having more than four to five drinks in one sitting, or in less than two hours. Typically, as a result, this brings blood alcohol levels to 0.08 percent. In a 2014 NIH survey, around 60 percent of college students age 18–22 drank alcohol in the last month, and of that group, two out of three engaged in binge drinking. “From the Core Survey and Healthy Minds — Core was from 2013, Healthy Minds was from 2016; that’s where we draw a lot of our data — about a third of students are reporting that they don’t use any alcohol on a regular basis, about more than a third are reporting that when they drink, they do so in moderation, so anywhere from one to four drinks, and then there is the other end of the bell curve, students that drink in excess,” Edwards said. Cannabis use is becoming more and more popular nationwide. According to a University of Michigan study in 2016, 39 percent of college students in the U.S. indicated that they had used cannabis in the past year, and 22 percent indicated use in the past 30 days. These values were up 9 and 5 percent respectively from 2006. 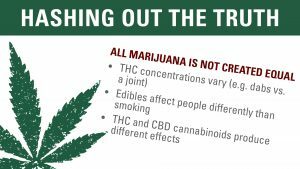 “I think the biggest misperception is that the majority of students on campus do use marijuana in some form, which is not 100 percent true. In 2013, there was about 2/3 of the campus who were saying, ‘I haven’t used any marijuana in the last 30 days,’ compared to 2016, with the Healthy Minds study, there were about 41 percent of students who said, ‘I have used marijuana over the course of the last 30 days.’ So we have noticed a slight increase in the number of students who are using marijuana, who report using marijuana; however, that does not mean it’s a majority behavior,” Edwards said. There are also mounting concerns for opiate use around the nation. According to the U.S. Department of Health and Human services, in 2016, 116 people died every day from opiate-related drug abuse in the United States. In total, 42,249 people died of opiate overdose. 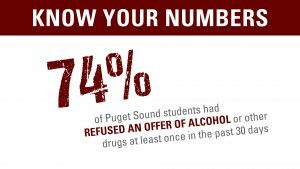 To combat drug abuse, the University of Puget Sound is taking preventative measures. 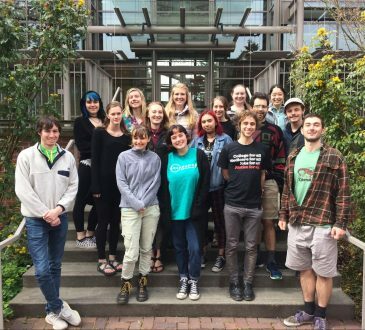 According to the University of Puget Sound website, some campus staff are trained to carry and use Narcan (naloxone HCl), which is an emergency treatment for cases of opiate overdose. Upon administration, the medicine can help to reverse the lethal effects of an overdose. Additionally, in Washington, Narcan can be bought without a prescription directly from a pharmacist. 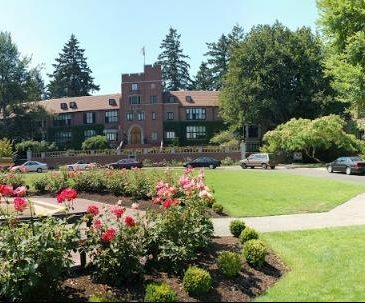 Through the University of Puget Sound, there are some available addiction treatment options for students. All Addictions Anonymous is a support group that provides solidarity in recovery every Friday from noon to 1 p.m. CHWS also offers one-on-one treatment and therapy for those recovering from addiction. “Students might pursue individual counseling, and so that could be with any of our mental health providers on campus. All Addictions Anonymous, that’s probably the most well-known. There is a group, Tokeless in Tacoma, so that’s for marijuana anonymous, which actually just moved to Puyallup, I believe. Then there is, through Pierce County [Alcoholics Anonymous], you could go on that website and pretty much find a meeting any hour of the day, from six in the morning to late at night,” Edwards said. For students facing addiction, there are many resources both on campus and in Tacoma that can be of help.